​Order your trees now for the 2019 planting year. Rain barrels are also available. Enter your name and email to receive updates from Swift SWCD, such as available funding, workshops, events, and other useful information. 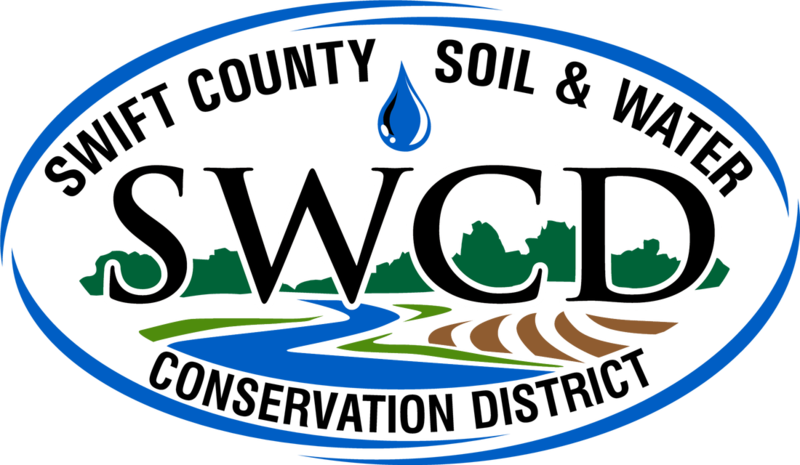 ​Click HERE to view the latest SWCD newsletter. *Board meetings are generally held on the second Thursday of every month and are open to the public. ​​Swift SWCD sells a variety of seed to meet your conservation needs. ​Custom seed mixes for CRP, cover crops, or other projects can be purchased through our office. ​Contact Swift SWCD for seed mix options and prices. MN CREP is a voluntary, federal-state funded natural resource conservation program that uses a sciencebased approach to target environmentally sensitive land. Landowners enroll in the federally-funded Conservation Reserve Program (CRP) for 14-15 years. Minnesota's buffer law requires the establishment of perennially vegetated buffers of up to 50 feet along lakes, rivers, and streams and buffers of 16.5 feet along ditches. These buffers will help filter out phosphorus, nitrogen and sediment. The deadline for implementation for buffers on public waters was November 1, 2017. The deadline for public ditches is November 1, 2018. The law provides flexibility for landowners to install alternative practices with equivalent water quality benefits that are based on the Natural Resources Conservation Service Field Office Technical Guide. Swift SWCD has partnered with RMB Environmental Laboratories to provide a convenient location for accessing water testing services. Our Mission: The Swift County Soil and Water Conservation District is committed to providing high quality technical, financial, and educational assistance to landowners and land managers of Swift County by promoting sound stewardship of our land and water resources.